Based on its recent analysis of the lecture capture solutions market, Frost & Sullivan has recognized Sonic Foundry with the 2012 Global Frost & Sullivan Award for Market Share Leadership. Sonic Foundry's Mediasite provides automated capture, distribution and management of lectures, presentations and campus events. For six consecutive years, the company has remained the market share leader and continues to consistently enhance the features and functionality of its flagship solution, Mediasite. In 2011, the lecture capture market measured nearly $70 million in revenue. By 2016, Frost & Sullivan anticipates the total market to more than double, growing at a compound annual growth rate in excess of 20 percent. Heightened deployments are expected over the next five years in Europe, the Middle East, and Africa as well as Asia Pacific, despite the current downturn. Additionally, the North America and Latin America market will continue to observe year-on-year increases in penetration of lecture capture solution deployments. Sonic Foundry leads the market with product revenue comprising more than 17 percent of total lecture capture market revenue. Currently, more than 1,000 academic institutions worldwide have deployed Mediasite to enhance on-campus, blended and distance learning initiatives. Each year, Sonic Foundry has expanded its install base of universities, community colleges, and technical institutions globally. The company leverages an extensive network of regional channel partners combined with direct sales to achieve penetration into emerging markets. This heightened brand visibility has enabled it to remain the go-to vendor for institutions worldwide. Mediasite provides seamless, automated capture, distribution and management of lectures, presentations and campus events. 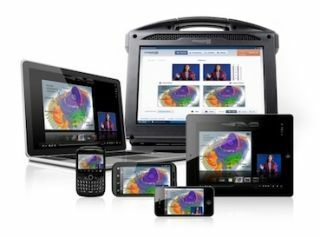 First, Mediasite Recorders automatically capture high-definition video with high-resolution presentation materials from laptops, tablets, document cameras or whiteboards, and then webcast these immersive presentations live or on-demand to any computer or mobile device. In addition, Mediasite Recorders provide live streaming, which has increasingly been leveraged for webcasts of commencements, guest speakers, and sporting events. "Sonic Foundry is dedicated to providing a highly intuitive and interactive rich media experience to content creators and viewers alike on PC, Mac or mobile device—iOS, Android and BlackBerry," said Frost & Sullivan global director, Mukul Krishna. "In addition to flexible playback that includes the ability to rewind, pause, slow down, or fast forward to critical content, powerful search capabilities allow students to quickly pinpoint the information they need in any presentation or course catalog." Captured lectures are accessed using single sign-on through LMSes such as Blackboard, Moodle, Instructure, Desire2Learn or Sakai. Mediasite EX, Sonic Foundry's video content management system, provides a central repository to archive, index, manage, secure and track all Mediasite content as well as video content ingested from other recording devices or applications. "Mediasite EX assists institutions in gaining greater insight into usage statistics and viewing trends by means of its advanced analytics," Krishna said. "It also provides automated scheduling, directory-based authentication and keyword search across all presentation slides and audio tracks."